Zinedine Zidane, Real Madrid’s coach, has reacted to the supposed interest of Paris Saint Germain for the Portuguese star of Real Madrid, Cristiano Ronaldo. 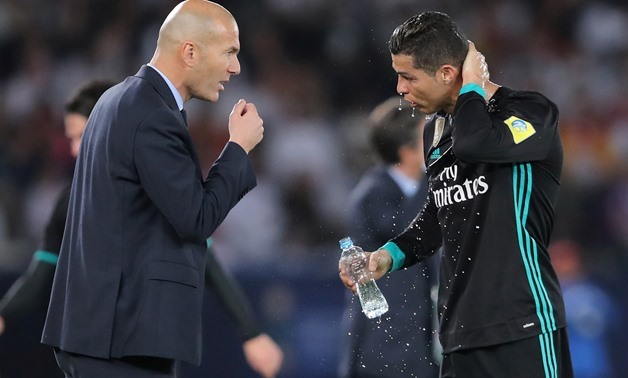 Zidane, who does not like to deal with this type of issue at press conferences, has wantedpic5678to show his total confidence in Cristiano Ronaldo, whom he sees for many years at Real Madrid and not with another team. Asked about the possible signing of Cristiano Ronaldo for PSG and if he saw the Portuguese star outside Real Madrid, Zinedine Zidane has been very clear. "I cannot imagine Madrid without Cristiano Ronaldo. What he wants is to finish here and I do not see a Real Madrid without Cristiano Ronaldo," said Zidane at the press conference before thepic5678match against Celta Vigo in Balaídos.